Someone introduced me to a new Internet marketing process yesterday which sounded too good to be true; sort of like Search Engine Optimization, nowadays; not realistic unless your budget is very strong. While looking into it some, I found out that it does make sense and people are in-fact using this process called SBO (Search Box Optimization) and it probably works, but it is considered a “Black-hat” tactic intended to “trick“ Google into thinking a particular search term is far more popular than it is – and that’s what’s not good about it. These days you want to be very careful about attempting to trick Google and other search engines because you could find yourself in a much worse-off spot than where you started. C) you probably could do this yourself if you really wanted to – you just need to understand how it works. 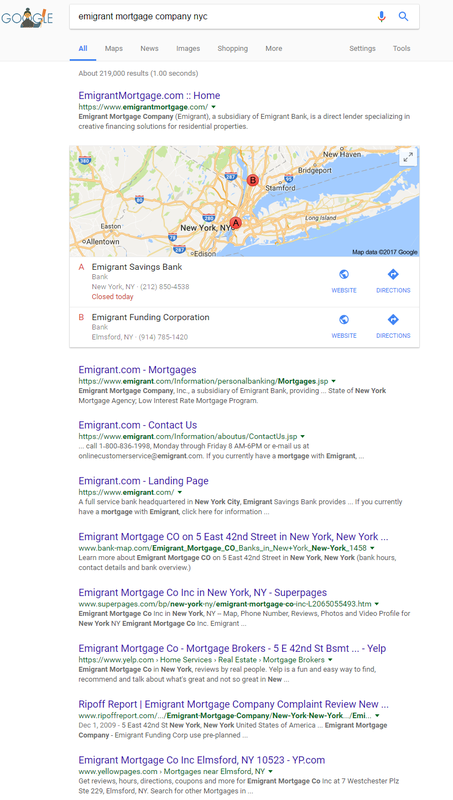 In the above example screenshot, you can see that Google is automatically suggesting some company names, one of which is the emigrant mortgage company to anyone who begins typing the words nyc mortgage company. As you could imagine, this is going to yield a tremendous amount of traffic to Emigrant Mortgage Company if someone selects it from the list. Now, no-one pointed out this specific term to me (I had to keep searching to find some examples) and I do not know if this particular company is being suggested due to search box optimization or it is just a coincidence, but I am pretty sure this would typically only happen in the following two scenarios. B) — Well, I actually have no B scenario. The only other scenario I can think of is that its owner is taking advantage of this so called “search box optimization”. I don’t see how else this would be likely to happen unless the search term was genuinely popular. But again, I do not know for sure. This is just an example of what I am talking about. I’m not going to waste a lot of time looking into how this is happening for these particular companies as this is just an example – and I think you get the idea of why search box optimization would be attractive to marketers; if someone clicks on that suggestion their going to receive a full page of information on just this single company. 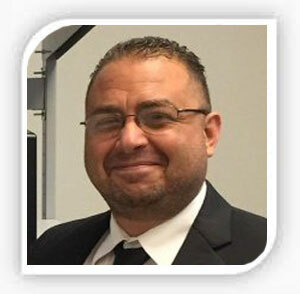 It is thus pretty obvious how this process will deliver oodles of traffic – and it could even grow the more the search is performed, potentially – as long as people who get to the site actually like the service and stick around; if people arrive and immediately bounce, Google will likely remove the result from the search suggestion list. Search Box Optimization is about placing a brand or website address into the search suggestion list so that people will click on it and run that exact search leading to traffic for the target site. Yes, supposedly there are ways to influence this through non-traditional means such as simulating lots of searches from bots or different IP addresses – enough so that Google begins to think its being searched by lots and lots of people and Google begins to suggest it right in the search box. In very rare cases a couple keywords will show up along with a web address next to them (right in the suggestions box) but it is extremely rare and I cannot even find an example outside of the example I was given by this SBO company and I don’t want to cause any trouble so I am not going to screenshot it here, but I was trying to find a different example and I cannot – so this is probably something very very new. I tried hundreds of strings. So keep your eyes pealed and your wits about you as you’ll likely be solicited sometime soon by a Search Box Optimization company. The one I encountered was asking for $2,000 per month (per keyword) with an expected time frame of ninety days to get it to work. I have a few ideas on how you could get this to work on your own but I am not going to share them here because they are untested as of now, however, I may share those processes if I test it out. For now, if you own a lot of domain names, try to think about how you could use your domain names to simulate searches from different places in high numbers. I’m sure you will come up with some ideas on how to accomplish this.